Guys. After lots of research (and miles run because of said research) I have found the best pumpkin bread recipe. I swear. You should probably make it this week. 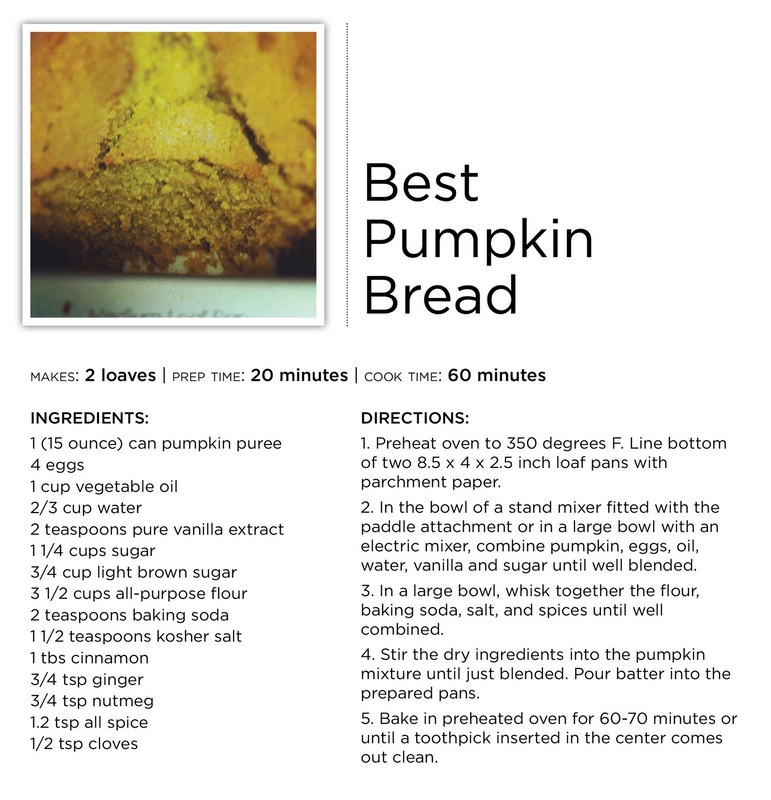 This is the recipe I used, but decreased the amount of sugar and used half brown and half white. And you can download and print a pdf of my recipe right here!